Oracle president Mark Hurd threw his own hat out of the ring to replace Microsoft chief executive Steve Ballmer, telling CNBC that he doesn’t intend to leave his current post. “I’m very happy at Oracle; I plan on going nowhere,” Hurd told CNBC on Tuesday morning. “It is a great place to be at Oracle. We’re in a great place, and that’s where I’m gonna be,” Hurd added. Hurd didn’t deny that he’d been contacted by headhunters to take the position. 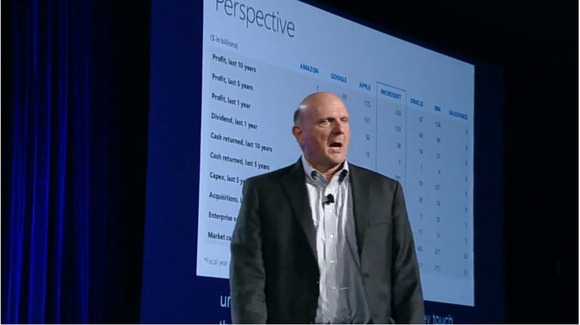 In August, Ballmer said that he would retire within a year’s time, although some suspected that he would leave even earlier than that. Microsoft is in a critical transitional period at the moment, having just architected a “One Microsoft” reorganiation plan that has reallocated the company’s technologies across different business units, rather then penning them up in individual product “silos”. At the time, we suggested our own candidates to replace Ballmer. In the weeks following, other names have been floated; Ford chief executive Alan Mulalley, for example, hasn’t exactly denied reports that he could leave Ford and join Microsoft, but he has certainly downplayed them. If one reads the tea leaves, however, Mulalley looks less committed to Ford than Hurd does to Microsoft; that’s possibly because Oracle chief executive Lary Ellison stepped n and quickly offered Hurd a job after being shown the door at Hewlett-Packard. Other names that Microsoft has reportedly considered includes many members of its executive staff: Operating Systems Engineering Group leader Terry Myerson; Devices and Studios Engineering Group chief Julie Larson-Green; Applications and Services Engineering Group leader Qi Lu; marketing head Tami Reller; and Tony Bates, the former Skype president who was just named leader of the Business Development and Evangelism Group.